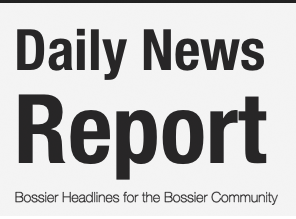 The Bossier Parish Community College Cavaliers swept Baton Rouge Community College 17-3 and 3-1 Wednesday at BPCC. With Game 1 tied at 2 in the second inning, BPCC would send 14 batters to the plate, score 11 runs on 11 hits, including two home runs. The big blow in the inning came on first baseman Ally Klein’s grand slam home run which made the score 11-2, still with only one. Klein, who had two hits in the inning, got things started for the Lady Cavaliers with a leadoff single. The freshman from Eunice went 3-for-3 in the game with a home run, four RBIs and she scored three times. The Lady Cavaliers pounded out 16 hits, including four home runs, in the game. Every batter in the BPCC lineup had at least one hit. BPCC’s middle infielders, shortstop Ruby Butler and second baseman Abi Cole, both went 3-for-4 at the plate in the game. Both players fell a triple shy of hitting for the cycle. Butler, a sophomore from Snohomish, Wash., scored three times and drove in three runs, while Cole scored twice and had three RBIs. Jenna James came on in relief of starter Dorrie Cormier in the fourth, and picked up the win by tossing two scoreless innings. With Game 2 tied at 1 in the fourth, former Benton star Cole blasted a solo home run over the left field fence to lead off the bottom of the inning. The homer was her second of the day and sixth of the season. BPCC would add an insurance run later in the frame on Cormier’s sacrifice fly which scored Haily Ebey, who doubled two batters after Cole’s home run. The two-run cushion was more than enough for BPCC pitcher Kaitlyn Roth, who went the distance to earn her 14th win of the season. A sophomore from Wichita, Kan., Roth allowed the Lady Bears just one run on four hits, while walking three and striking out five. Despite pitching well, Bailey Duhon absorbed the loss for BRCC. Duhon surrendered three runs on just four hits while walking one and striking out seven. Bossier Parish got on the board first courtesy of Klein’s two-out, solo home run in the bottom of the second inning. It was Klein’s second home run of the day and her eighth of the season. Baton Rouge would tie the game in the top of the third on Blayne Pence’s sacrifice fly which scored Cori Breaux, who led off the inning with a single. With the doubleheader sweep, BPCC has now won four straight game and has improved its record to 29-11 on the season. The two losses drop BRCC to 4-28 on the year. The Lady Cavaliers return to Region XIV play on Friday, Apr. 12 when they travel to Tyler, Texas to battle the No. 4-ranked Tyler Junior College Apaches.